If you are wondering how you can visit the Teide Observatory while on holiday in Tenerife, in today’s article, we present all the options currently available to you to visit the largest solar observatory in the world. Just in case you do not know, the Teide Observatory can only be visited on a pre-booked daytime guided tour. The visit does not include access to those telescopes where the researchers are working. But of course, you will be able to explore the inside of a nocturnal telescope, learn about its exciting history and observe the Sun through professional telescopes. We will also explain to you what astrophysics is and how the astrophysicists in the Observatory conduct their research, what projects they are involved in, why is the sky over Mount Teide so special and what types of telescopes you can find here. 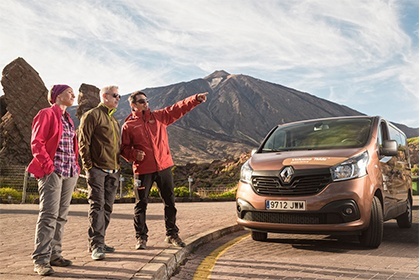 If you have hired a rental car to explore Tenerife at your leisure during your stay in the island, this may be the most convenient way for you to visit the Observatory. 1.5-hour guided tours are held every day in different languages (you can check the days and times at which the visits are offered in each language in the section “Pick-up points and hours” of the activity page). The only thing you should bear in mind is that you must arrive at the access gate to the premises 30 minutes before the booked time of the visit since a Volcano Teide guide will wait for you there to access the premises alongside the rest of the visitors. Our excursions are the perfect choice if you do not have a car while you are in Tenerife as we offer transfer service from multiple pick-up locations in the north as well as in the south of the island. Moreover, our excursions are designed for small groups of up to 15 people, which means that if you choose this option, you will be able to count on a guide who will be much more attentive to your needs and you will spend little time picking up the other travellers in their hotels. We offer late afternoon excursions on which, in addition to visiting the Observatory, you will be able to enjoy the sunset in the National Park, followed by an astronomical observation using telescopes in one of the 3 best skies in the world, and which include an optional menu if you don’t want to have to bring your own food. 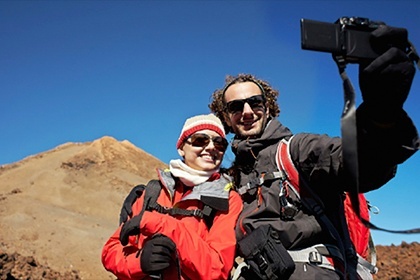 By booking a visit with transportation, not only will you avoid having to tank up and search for a spot to park your vehicle in the Park (which can be complicated sometimes); you will also contribute to a sustainable tourism on Mount Teide. 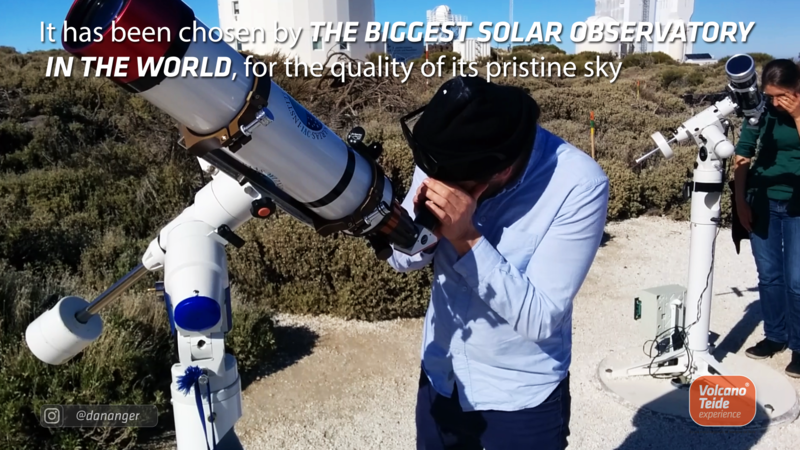 We have developed a comparative table of all our activities which include a visit of the Teide Observatory so that you can use this at-a-glance summary of the most relevant information to decide on how you are going to visit the largest solar observatory in the world. P.S. Remember that the Observatory is located on the TF-24 motorway which runs via La Esperanza. If you wish to find out more details about this road route and/or want to know what else you can do on your way to Mount Teide, have a look at our article on how to get to Teide by car and what to do en route. It includes an interactive infographic to make your reading more enjoyable!